“Non-Stop”: Excuse me, ma’am, is this seat “Taken”? “Non-Stop” opens Friday at Point, Eastgate, and Star Cinema. PG-13, 1:50, two and a half stars out of four. Give Liam Neeson credit — he’s an action star who acts. 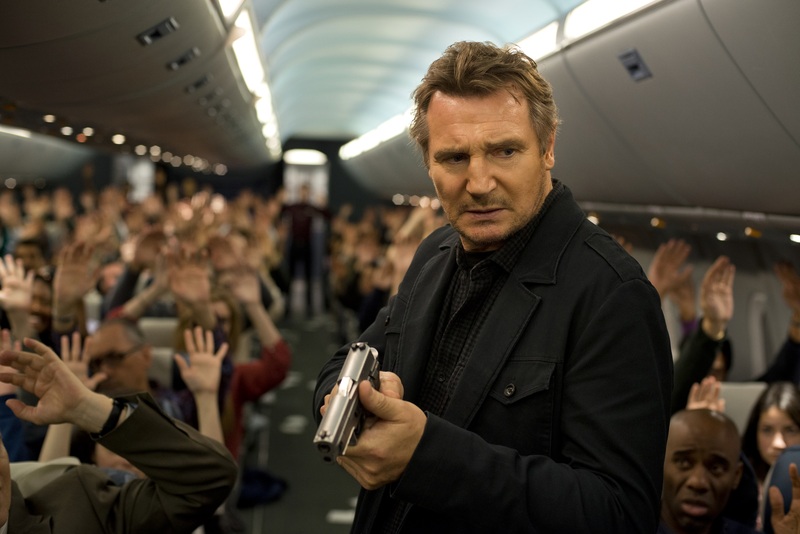 In the “Taken” movies, “Unknown” and now “Non-Stop” (reteaming him with “Unknown” director Jaume Collet-Serra), Neeson manages to sell increasingly unbelievable premises with a world-weary gravitas and an edge of menace. In “Non-Stop,” he’s the captain, and even if we don’t know where we’re going and suspect the movie doesn’t either, we trust him to get us there.